The Basques vow their distinctive sheep’s milk cheese, Ossau Iraty AOC, has been made in their Basque-Pyrenees region since the dawn of the Bronze Age, about 4000 years ago. The Basque people themselves are known as the most ancient surviving ethnic population in Europe, with a wholly unique culture and language, well preserved within their beautiful and remote mountainous area. 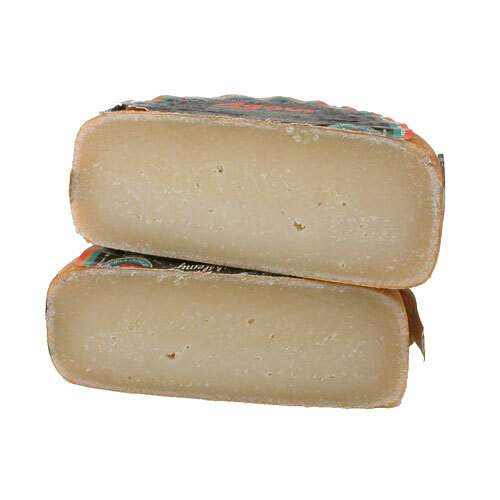 Ossau Iraty Agour AOC is made at Fromagerie Agour, a small family-run creamery run by a father and son team, located in the rustic Basque-Pyrenees region of Southwestern France. Fromagerie Agour begins with the highest quality, purely local Manech and Basco-Béarnaise sheep’s milk for their prized, protected-status cheese. Aged a minimum of six months, Ossau Iraty Agour’s natural, hard rind protects the firm, ivory white, aromatic paste within. The cheese’s complex flavor is delicately sweet, fruity and buttery with hints of wild Pyrenees mountain herbs and a lovely, lingering nuttiness to finish. Agour’s passion for creating traditional Ossau Iraty earned them the coveted top title of World Champion Cheese at the World Cheese Awards -- the largest, most diverse cheese competition around the globe. Over 200 international experts judge approximately 2,500 cheeses each year, and Agour did not just win golden honors once, in 2006, but incredibly once again in 2011. Application: Ossau Iraty’s robust nature makes it a wonderful table cheese and will add a uniquely delicious zest when shred on pasta, rice or potato dishes, soups, stews or salads. Pairing: Dry White Bordeaux pair particularly well with this Supreme Champion cheese. 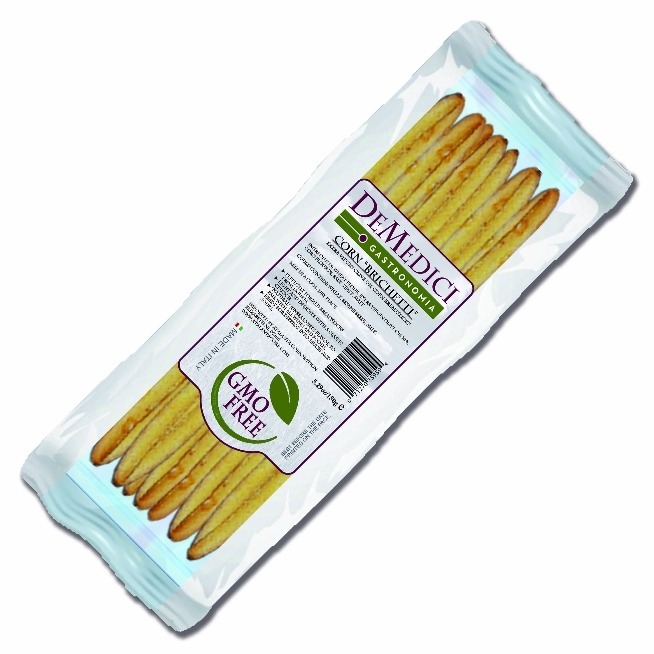 DeMedici captures the classic taste of Liguria with their line of all natural grissini style breadsticks. Brichetti,“matches” in the Ligurian dialect, are named for their long, slender shape. Originally created to preserve bread for a longer period, Brichetti have a shelf life of one year and were typically served during holidays as accompaniments for meats and cheeses. DeMedici’s authentic Mediterranean Corn Brichetti are made with traditional local Ligurian ingredients: olive oil, grain, corn and sea salt. Their light, delicate, crispy texture adds Riviera elegance and flavor to any table, all year round, for any occasion.